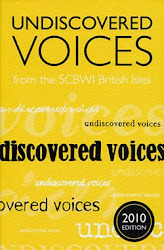 At Yellow Lake and Other Places: More Writer’s Secrets: Dickens, Chocolate Hobnobs, Pompey and Me. 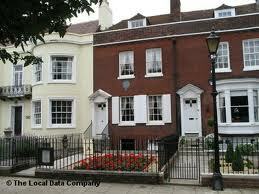 More Writer’s Secrets: Dickens, Chocolate Hobnobs, Pompey and Me. All right, so I don’t have any real secrets to reveal about my relationship with either Charles Dickens or his work, but I liked the sound of the Jane Austen title I used last week and thought I might be able to hit blog title “gold” twice. Well, I haven’t. Obviously. Not only are McVities Chocolate Hobnobs not as hilarious a name for snack treats as Hostess Ding Dongs, but I’ve actually read several (though not all) of Dickens’ books. 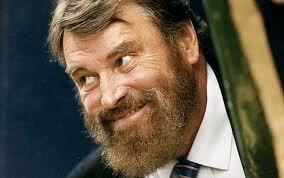 I know a bit about his life and times, too. Let’s see: Portsmouth, Rochester, blacking factory, debtor’s prison, journalism, Preston strikes, Household Words, Gad Hill; being the toast of America and later its public enemy number one, having lots of children, dumping his wife, acquiring the obligatory hot young actress girlfriend, dying. 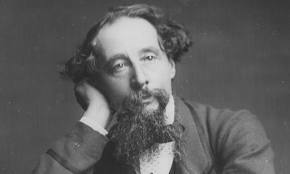 If I have any confession to make about Dickens, it’s that I haven’t always been madly in love with his writing. A bit, well, overblown, I’ve always thought. A bit too male, maybe—all whiskery and itchy around the collar. That’s not necessarily a bad thing, of course. Male is good, in my opinion. 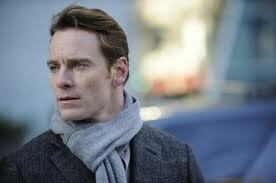 But Dickens features the wrong kind of male—too much Brian Blessed, not enough Michael Fassbender. And, as you may have guessed, I’ve never felt over-reverential about his legacy (in the way that I do about Shakespeare, say). It’s that dumped wife, and all those abandoned kids, I guess. It’s also those slightly Daily Mail-esque political values, which he held despite his profound empathy with the poor and powerless. But now, he’s 200 years old (Dickens, that is, not Brian Blessed) and I’ve decided to forgive his anti-union rants and his extra-marital dalliance (I’m sure he’d be so pleased about this…) I’m dipping back into the Dickens canon, because if it’s not exactly shameful not to wax lyrical about Dickens, it is a tad embarrassing not to be at least somewhat enthusiastic. So, I’ve started with “A Tale of Two Cities,” and will carry on from there. 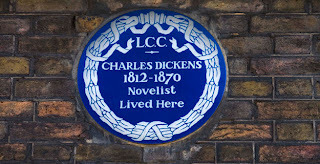 I visited the utterly charming Dickens museum on Doughty Street in London recently, and that, too, inspired me to approach his work again. Of course, I have another reason to re-engage with Charles Dickens. 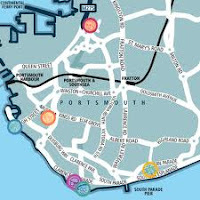 He was born in Portsmouth (see map) and so was my son, my first-born. In fact, Portsmouth (Southsea, rather) was the beginning of many things for me. It was where I started my real relationship with then-boyfriend, now-husband, Jim, who I left San Francisco to be with. It was the site of the first British pub I ever drank in. It was the place where I began writing, one dark December evening at a WEA Creative Writing Class in North End. Sigh. It was a long time ago—not quite 200 years ago, but almost. So, in this, the year, 2012, when Dickens is 200 and my first book will be published, I think it’s only right that I should go back and reflect on the place where he, and my son, and my writing were all born. Ah. 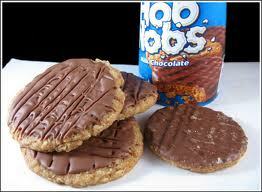 The Hobnobs, you ask. What about the Hobnobs? Well, if you really must know, it was just as I was just about to into labour with my son. I was walking back from the antenatal clinic in excruciating pain because a midwife had done what I will call “that poking thing” to “get me going.” Luckily, Chocolate Hobnobs had just been invented, and there was a shop between the clinic and my house. 24 hours later, the packet of Hobnobs were history and my son was born. The best of times and the best of times, as Charles Dickens never said. Dicken's writing has certainly aged, and I wonder what it would have been like to read it as a contemporary, especially those works published in serial form. Perhaps the rather meandering narrative and outrageous coincidences would have been forgotten from installment to installment? There's a similar parallel to modern TV - popular series used to be a must-watch every week, but now we can buy the boxset and slurp it all up in a single night. I agree, Nick. I think Dickens was able to do things that other writers rarely even attempt--the swings between comedy and tragedy, savage satire and cloying sentimentality. That's impressive. Could have used a good editor, though!